Jonathan Jackson won one of General Hospitals five awards. The Daytime Emmys showered "General Hospital" with five trophies, including best drama, while giving Regis Philbin a fond farewell as a departing talk-show host. NBC's "Today" show won as best morning show and the syndicated "Jeopardy!" was named best game show at the annual ceremony Saturday. "Live with Regis and Kelly" was saluted as best entertainment talk show (its first-ever nod in that category) and for best talk-show hosts. Philbin ended his long run as its co-host last November, with a replacement yet to be named to join Kelly Ripa as the syndicated series continues. Heather Tom, who won as best lead actress for CBS' "The Bold and the Beautiful," made history as the first to win in that category after having previously won as both best younger actress and supporting actress. Anthony Geary won as lead actor for "General Hospital." 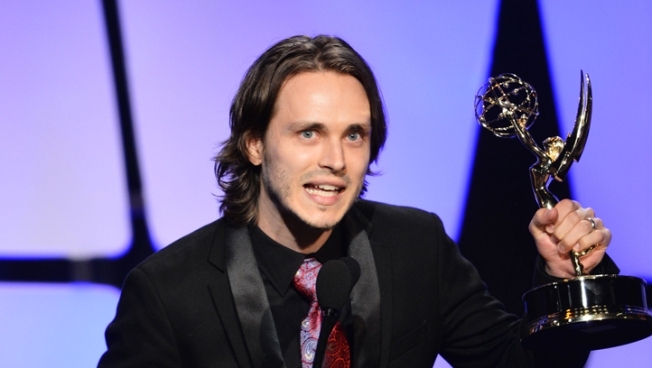 The ABC soap also won for supporting actress (Nancy Lee Grahn), supporting actor (Jonathan Jackson), and directing team. The syndicated "Dr. Oz" was named best informative talk show. Bill Geddie, longtime associate of Barbara Walters and executive producer of her ABC talk show "The View," received the life achievement award. "There's not a lot of glamour and glory in daytime," Geddie told the room in his acceptance remarks. "But when you think about it, we're all here with the best of intentions: We just love making TV!" Held in Beverly Hills, Calif., the 39th Annual Daytime Emmy Awards was telecast on the HLN channel, having moved to cable for the first time after airing on CBS the past two years. The awards are bestowed by the National Academy of Television Arts & Sciences. The Beverly Hilton, where the presentation originated, was the site only hours earlier of what investigators believe was a murder-suicide. Police responding to a report of a shooting late Friday found a man and a woman dead from gunshot wounds in a guest room. The luxury hotel was also the site of Whitney Houston's death in February, when the singer drowned in the bathtub of her room.